Why should I consider private treatment? Privately, the appointments and treatment are arranged with minimal delay. The surgeon will personally look after all your treatment and all tests and investigations will be checked by experienced consultants. As an in-patient, you will have your own private room with en suite and all facilities, including television and telephone. Will my private health insurance cover the cost of my treatment? Yes. The surgeon is recognised by all the major medical insurance companies. However, you will need to obtain pre-authorisation from your insurers and confirm the adequacy of your individual cover. We can assist in this process if required. If you are not insured you can be seen as a self pay patient. We also offer a fixed cost care service, which covers your treatment and one post operative consultation. You may also apply for a credit card with BMI hospitals, which helps to spread the cost of treatment over an agreed period of time. 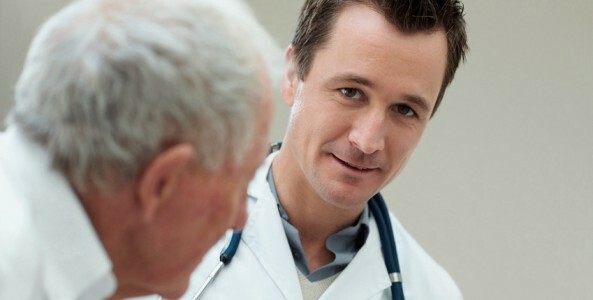 The surgeon will take the full history of your problem and examine you in detail. He will also arrange any necessary investigations. We endeavour to carry out all the tests at the time of your first visit and hope to advise you of the results as soon as we can. How is my surgery planned? After your initial consultation and investigations, you will be advised regarding the various options available to you. If surgery is advised, we can book a convenient date for you. Normally, a pre-operative assessment is carried out by the hospital before your admission to make sure the whole process runs smoothly and to address any anaesthetic issues. Generally, you are admitted two hours before surgery. On admission, you will be seen by the Consultant Anaesthetist who will carry out your anaesthesia. You will also be seen by The surgeon, who will discuss any last minute queries you may have. Please feel free to write down any questions beforehand so these can be discussed. Our staff will do their best to make the whole process run smoothly. Who actually performs the surgery? The surgeon performs the entire surgical procedure from start to finish. Before you leave the hospital you will be given instructions regarding aftercare. We urge you to follow these instructions very carefully. Should you have any queries, please ask our hospital staff. Alternatively, do not hesitate to contact us either by telephone or email. The vast majority of ENT operations are done without an external scar but where necessary it will be well placed. The surgeon takes extreme care to make sure that wounds heal well with good cosmetic outcome. We would like you to keep the wound moist but not wet or dry. The moisture can be maintained by cleaning the wound daily with boiled cool water and an application of Vaseline. We also recommend the use of preparations with SPF of 25 or over for about nine months. Specific risks have been discussed under each procedure. The Surgeon would like to reassure his patients that these risks are uncommon and extreme care is taken to avoid them. Generally, we advise two weeks off routine work following surgery. However, in some instances, this is shorter or may even be longer. The hospital will provide you with a sick certificate before being discharged. How does smoking affect the operation? Smoking adversely affects the anaesthetic and wound healing. It is advisable to stop smoking at least 24 hours prior to your anaesthetic. Ideally, a seven day period of cessation is much preferred both before and after surgery. If you need further help on this, please let us know. What shall I bring into hospital? You must bring with you any medication you are currently taking, including your inhalers etc. Please also bring your nightwear (preferably buttoning down front), daywear, dressing gown, toiletries, slippers, books and magazines and a pen. The hospital will, of course, be able to provide you with all these should it be required. Please do not bring any valuables.